This blog post has been months in the making. We thought it would be a pretty easy, quick post to write… But we were committed to not just Google some of the best wedding venues in South Florida, but to visit them, get to know the owners and their missions, and choose only the very best to share with our amazing brides! We now know that it will be just the first post in a series that highlights each venue and all their amazing features, and we are so excited to share their stories with you! There’s nothing that relieves wedding day stress more than knowing you won’t have to sit in downtown Miami traffic while driving from your ceremony to your reception location! 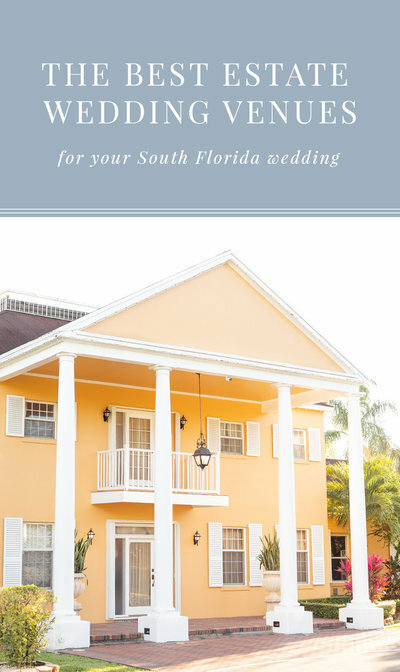 So if you’re looking for a wedding venue that allows you to do everything from getting ready to dancing the night away… Read on to find the best estate wedding venues in South Florida! Visiting Via Bella Estate is like experiencing a small piece of Europe in the heart of Homestead, Florida. Brides love the Tuscan-inspired architecture and the complete privacy of the ten-acre estate for its ability to make them feel like they are having a destination wedding without ever leaving South Florida! We love that the estate is privately owned, but no one lives in the house. This means that it’s pristinely clean, and it feels like it really is your home for the day! The bridal suite is enormous and bright (it’s actually a suite, not just one room! ), and there’s a groom suite as well. The bride and groom can even rent the home to stay in for the night! Guests can explore the beautiful grounds, and the bride and groom can choose an amazing antique car from the owner’s collection to use for photos. Best For: Couples who want a relaxing, private wedding day in a lush, Tuscan-inspired venue that feels like home. Add-ons: Additional upstairs game room/hangout room can be rented for the day. Bride and groom can rent the house to stay the night. Outside vendors: Permitted with proper insurance and licenses. Alegría Mango Farm is one of our personal favorites on this list. Primarily operating as a family-owned farm in Southwest Ranches, it became a wedding venue when Kyle, the grandson of the original owners, married his wife Sabrina at his family home. Now Sabrina and Kyle work together as a husband and wife team to bring weddings to life at the place they themselves tied the knot! Because of their personal connection to the venue, everything about it just feels extra special. During our venue tour, Sabrina showed us photos from their own wedding! Sabrina and Kyle spend time with each couple helping them to design a wedding that showcases the uniqueness of the couple’s love story. They feel like your wedding day BFFs who have been where you are and want you to have the wedding of your dreams! Add this level of personalization to the intimate mango groves and an oak tree by the water, and it’s pure magic. Best for: Couples who want a completely personalized wedding experience from a husband and wife team who are not only passionate about what they do, but who connect with and understand their couples and are personally invested in each individual wedding! Add-ons: Bridal suite can be rented for the day. Couples can also add mango jam made at the farm as wedding favors for their guests! Outside vendors: Permitted with the proper insurance and licenses as long as they are approved. Esperanza Estate is a family-owned estate venue in Homestead, Florida. It’s an amazing, peaceful place, with open spaces ready to host weddings of any kind. Priscilla, the owner, was known as the go-to planner in her friend and family circle, and she genuinely loved it! So when her husband lost his job, their farm property combined with Priscilla’s talent for event planning became a new source of income and hope for their family. Thus, Esperanza Estate was born. The beautiful property hosts weddings from October to March, and Priscilla is very hands on in bringing couples’ weddings to life. 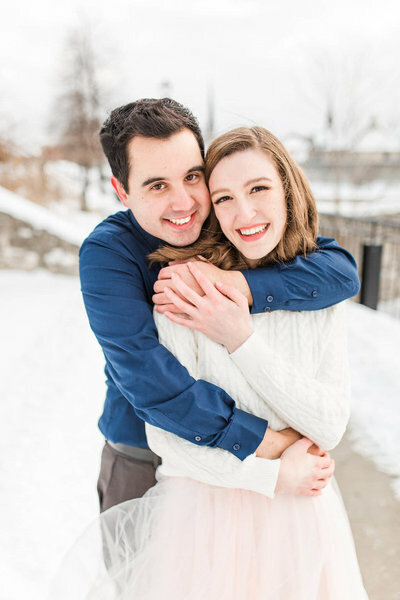 She helps to plan and coordinate for the entire year before the wedding! She’s also brought together a dream team of vendors as well as a huge collection of decor pieces in order to turn your Pinterest dreams into reality. We love how much she genuinely cares about her couples. She’s so careful in curating their vision that they trust her wholeheartedly, so they can just relax and enjoy their wedding day! Best for: Couples looking for a unique wedding experience and vendors who are truly kind, genuine, and passionate about what they do. Esperanza Estate is also PERFECT for Catholic couples who want an outdoor wedding but need to get married in a consecrated chapel! Includes: Full day rental, bridal suite, valet, bathrooms, catering, coordination by Priscilla for the entire year (Pinterest to reality!). Chapel is the only outdoor chapel consecrated by the Catholic church. Outside vendors: Permitted, but they have assembled a dream team and brides normally trust them! Unlike most of the venues on this list, Deering Estate is owned by the state of Florida. When not hosting weddings, it primarily operates as a Miami museum. However, it was once the private home of Charles Deering, who loved art, architecture, and the preservation or nature. Deering Estate is an ideal location for both large and small Miami weddings, as it has the ability to feel private and intimate even though there is so much space. What we love is the absolutely infinite number of ways that Deering Estate can be used! There is such a variety of beautiful backdrops not only for photos, but for each part of your wedding day. Couples will also love the idea that they are supporting a venue that actively engages in the preservation of both history and nature, and the fact that there are endless places for themselves and their guests to explore on the wedding day. Also… There are usually manatees hanging out in that beautiful palm tree-lined bay. SO cool!! Best for: Couples who value nature, history, and old architecture, especially those who may be having a larger wedding but want it to still feel intimate. Guest count: Outdoor space can accommodate hundreds. Courtyard reception space can hold up to 500. Smaller weddings can take advantage of the indoor add-on for cocktail hour. Add-ons: $3500 to use the inside of the stone house museum (with the add-on, guests can immerse themselves in the history of the stone house during small ceremonies or cocktail receptions). Outside vendors: Permitted with the proper insurance and licenses. The Old Davie School is also a museum, this time owned by Broward County. While not quite an estate venue, the Old Davie School made this list because it can accommodate everything from getting ready to reception, has ample outdoor space for photos, and has adorable houses on the property. Many brides who get married here are teachers who love the idea of getting married at a school! Old Davie School also has a dedicated indoor space for your reception, or as a rain plan! We love that the indoor reception room is bright, with white walls and lots of windows that let the last of the sunset light peek through just in time for your first dance! We also love how excited Kris, the event coordinator, gets about the uniqueness of each wedding day. She really wants to see you make your wedding your own, and genuinely loves every part of the process! Best for: Couples having a smaller wedding who want a venue with space for their entire wedding day, a wide variety of photo locations, and an indoor reception. Located in Davie, Florida, Casa Reta‘s southern plantation style architecture is similar to Oak Alley and the beautiful estates typically found in Georgia. Its columns and multi-level verandah are one-of-a-kind in South Florida, making it an absolute hidden gem. So much so that when owner Reta Grant cut down some of the shrubbery that hid the house from the road, brides were literally knocking at her door, begging to be married in her front yard! Besides the beautiful estate home, brides love the unique, intimate charm of the venue (and we do too!). Reta’s warm hospitality complements the southern architecture, and sweet animal friends Cinnamon the dog and Cameron the miniature horse are absolute delights that couples welcome as important parts of their day. Many are also drawn to the key historical features of the house. Some examples: the front doorway which the original architect sourced from a monastery in Europe, the rough Chicago-finished brick floor of the porch, and the indoor bar brought in from Mexico and hand-finished by Reta herself! 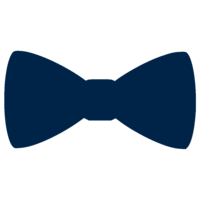 Best for: Couples who value family, history, and southern charm, and are having a small, intimate wedding. Villa Woodbine is a beautiful Miami wedding venue known for its history and beautiful architecture. Though it’s located off a busy street in the heart of Coconut Grove, one of the first things we noticed was how private and intimate it feels. It’s like walking into a secret garden in Europe, tucked away behind tree-lined stone pathways and filled with special nooks, like the fountain in the courtyard and the small second floor balcony, just big enough for a bride and groom to share a private moment. Built by the same architect who had a hand in Vizcaya and the Deering Estate, Villa Woodbine has that same old world charm! The venue is exclusive to Bill Hansen Catering, and Bill Hansen himself lived at the venue as his private home for several years. The catering company has been working with Villa Woodbine since 1985! Their experience means that they work like a well-oiled machine to make your wedding come to life. Best for: Couples planning an intimate and elegant wedding who love history and beautiful European architecture. Outside vendors: Catering is by Bill Hansen Catering. Outside floral designers, musicians, videographers, photographers, and event planners are permitted if approved. Spanish Oak Manor is a new Miami wedding venue that is definitely a hidden gem. It’s privately owned, and exclusive to Inspired Events, a catering and event planning company that focuses on creating a personal, client-focused experience. There are multiple beautiful ceremony locations at the estate, but our personal favorite is right in front of the house! Imagine getting married between those columns! Spanish Oak Manor has several rooms that you can rent for the night of your wedding, so that up to six people can stay after the party ends! The venue is intimate and cozy, with a southern charm that makes you feel at home, and many pockets of the perfect sunset light for your bride and groom portraits. Best for: Couples who are looking for a private, intimate venue with complete packages that include trusted vendors. Outside vendors: Catering and coordination is by Inspired Events. Some outside vendors are permitted with the proper insurance and licenses as well as a walkthrough. Booking an estate venue for your Miami wedding? We specialize in photographing estate weddings because we love how intimate they feel, how smoothly the timeline runs, and how relaxed our couples get to be when they know that every part of their wedding is just steps away—no Miami traffic in sight. The more relaxed you are, the more you can enjoy your day, and the more naturally joyful you’ll look in your photos! Your wedding day is going to be the perfect reflection of your unique story, and we’d love to capture it for you! Want to see if we’re available? Get in touch with us! And in the meantime, check out our recent blog series about choosing the perfect ceremony time for your wedding day!